Written by Joseph Gallivan of the Portland Tribune. 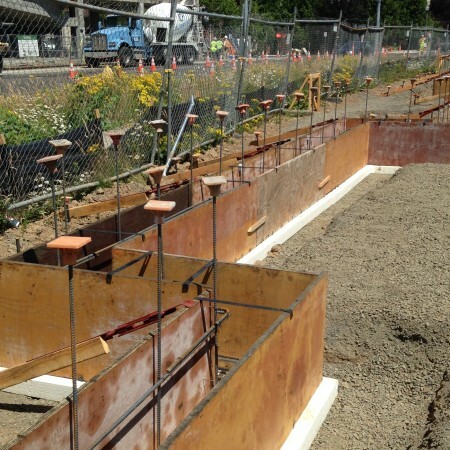 It should go without saying that any high performance building should be built on a solid foundation. So why would we set our building on a layer of foam insulation? The answer of course is thermal bridging. Those bridging effects can cause a significant amount of heat loss through the mass structure at the base of the building. 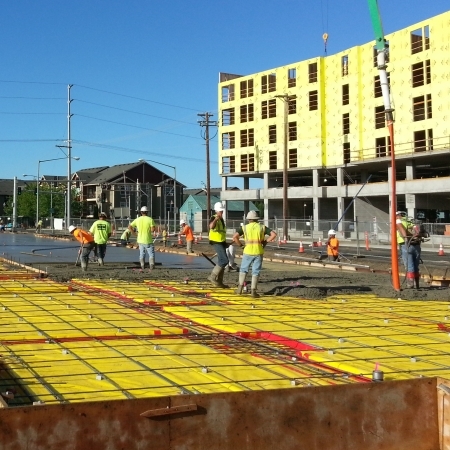 By thermally isolating the building foundation from the ground, building performance is improved, not only from an energy performance standpoint but also in terms of comfort and moisture management. 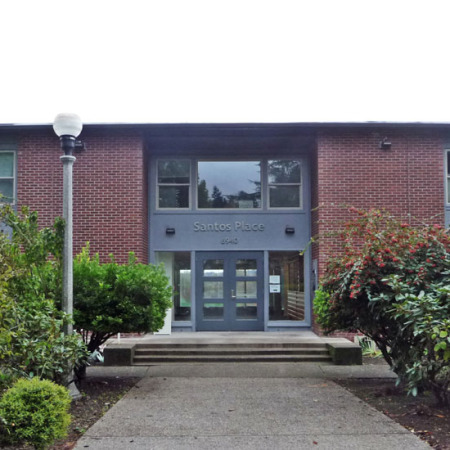 Amidst Magnuson Park’s wide variety of built and natural community resources sits Solid Ground’s Santos Place, an historic WWII soldiers’ barracks that now houses 42 formerly homeless men and women. Originally renovated to transitional housing in the late 1990s, by last year time had taken a toll on the building both at the exterior and interior – a variety of mechanical units clung to deteriorating asbestos siding, windows were nearing failure, and tree roots snarled too close to the building, threatening the foundation. For Solid Ground, the need to upgrade the building and its systems was mission critical. In affordable housing, a crumbling facility is a resource at risk and does not send the message of human renewal – but restoration of this historic building into a durable, stable and safe structure would offer a meaningful message for residents. The Ramona affordable multifamily apartments is a model for high-efficiency. Based on the data measuring building performance for the three years since completion, The Ramona is certainly one of the highest performing multi-unit residential buildings in the nation with measures of less than 20 kBtu/sf/yr. The team put a great emphasis on an airtight, thermally efficient building envelope. 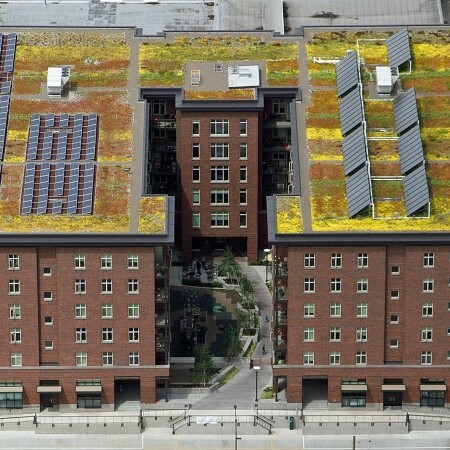 This was considered the most cost-effective way to get energy savings, the best way to reduce reliance on tenant behavior, and a good strategy to avoid future maintenance costs related to maintaining equipment. The Ramona continues to serve it owners and residents very well, and it continues to gather press. 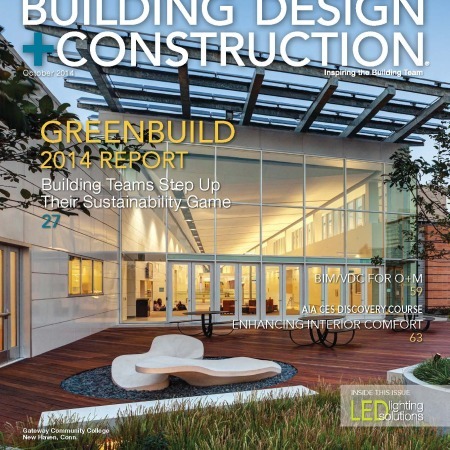 This month it is featured on the front cover of the ASHRAE Journal. 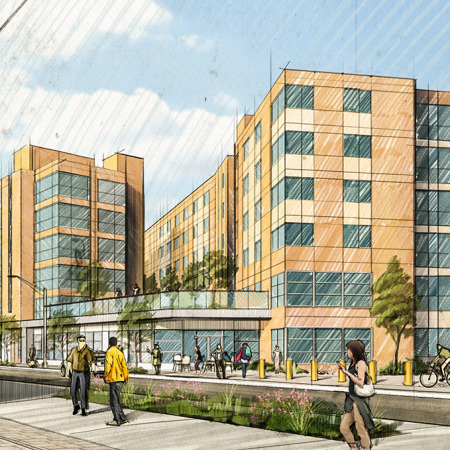 Sound Transit is selling three-quarters of an acre near the Othello Link light-rail station to Mercy Housing Northwest so the not-for-profit developer can build a mixed-use building with 108 affordable apartments. Spectrum Development Solutions just got design approval for its third apartment complex near Yesler Terrace. 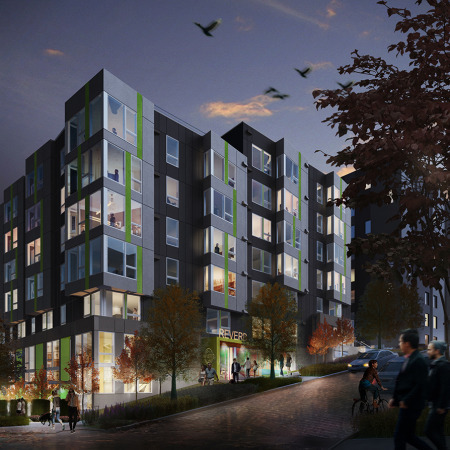 Construction is set to begin in April on Reverb, an 85-unit building at 1023 E. Alder St. It should open in May 2016. 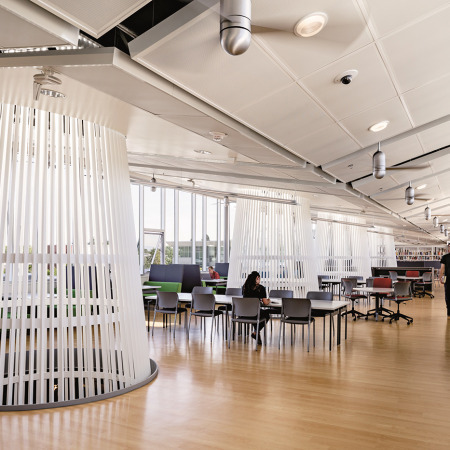 If you visit Portland Community College’s Southeast Center library you’ll probably notice some giant cones passing through the ceilings and floors. The cones are the result of 10 years of research and development by the architecture firm SRG Partnership about how to bring more light into buildings in ways that use less money and energy than conventional designs. We at WALSH are proud sponsors of Bridge Meadows and the dedicated and thoughtful work they do for the greater community. In honor of National Adoption Day, Nov. 22nd, we would like to take some time to share more about this local non-profit’s mission. 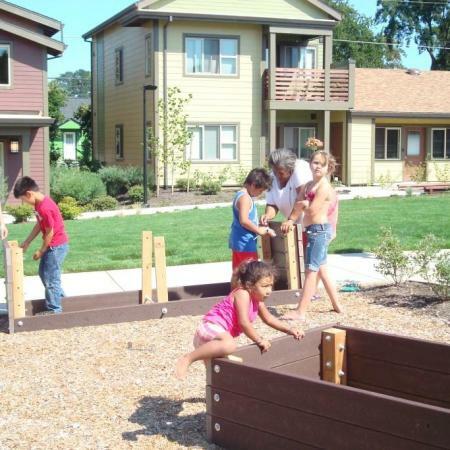 Bridge Meadows is a unique multi-generational community in North Portland, where adoptive parents, children coming out of foster care, and elders come together in community to transform individual vulnerability into collective strength. 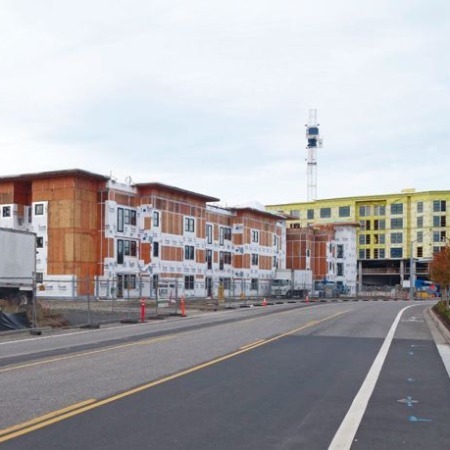 Green Building Advisor has included Orchards at Orenco, the largest Passivehaus Building in the U. S., on their website. Click here to view the article. WALSH is thrilled to be working with REACH Community Development, Housing Development Center (construction manager) Ankrom Moisan Associated Architects (architect-of-record), William Wilson Architects (design architect) and Green Hammer (Passive House consultant) on the construction of the affordable housing project, Orchards at Orenco, which is the largest precertified Passive House building to date. Click on this link to read more on the Passive House concept and its benefit to the greater community.